Please tell us a little bit about yourself: Who are you? How long have you been blogging? Why did you get into blogging? My name is Deborah Carney and I have been on the internet since 1980. There wasn’t blogging back then, or even the World Wide Web. There was just text on a green screen, no pretty pictures. I worked at a University and learned early on about the net, using Lynx and email with arcane clients that you had to use to connect. I used the internet for research, I had children diagnosed with a rare form of muscular dystrophy that the doctor was hesitant to tell us much about. By the second meeting with the doctor I had a stack of research that blew his mind that he asked if he could copy. I’ve had websites since the first website building online sites were available. Since by now you know I am a dinosaur so I will skip the rest and fast forward to today and my book blog that I run with Karen Garcia and my daughter, Liz Fogg. Our blog is BookGoodies.com and it has had many iterations through the years. It started as BookGoodies.net with the .com being held hostage by a domainer. The .net site ended up hacked and we were surprised to find the .com available. I’ve been podcasting since 2005 and one day I decided to put out a call for guests to start a podcast on BookGoodies. Within 24 hours I had more requests than I dreamed and spent July 2012 recording 4 – 5 podcasts a day, 5 days a week! I thought I needed to do them quickly or the authors would forget and not want to. Well I was wrong! Authors love to talk, and I loved talking to them. We have over 150 podcasts with mostly authors, but some author services and a publisher or two. People loved the podcasts, and through talking to authors I realized things that were missing that authors needed. We started to provide options for authors to post their book information, free book days, their bargain books and since I couldn’t interview them all in podcasts we started “self-service” author interviews. We’ve also added the ability for authors to post book excerpts, audiobook samples and even short stories for readers to enjoy. Have you previously participated in Armchair BEA? If you have not previously participated, what drew you to the event? Thanks to another blogger, Kriss Morton, I am excited to have discovered Armchair BEA. I was hoping to attend BEA in NYC this week but it didn’t work out. Finding out that I could network with others that couldn’t attend is a great surprise, I may not have time to be in all the activities but will sure try! I’m basically a night owl in Arizona, which puts me going to bed as the East Coast starts getting up. Where in the world are you blogging from? Tell a random fact or something special about your current location. Feel free to share pictures. I’m a Superstorm Sandy refugee living south of Phoenix where I came with my cats 3 weeks after the storm. My daughter lives in this area and found me a house to rent while our home in NYC was demolished and rebuilt. I would love to stay in the Southwest, I love it here. 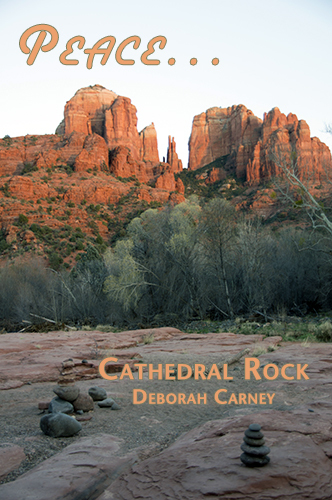 I am close to one of my favorite places on earth, Sedona, Arizona, where I feel peace and strength. What is your favorite part about the book blogging community? Book bloggers and authors are very supportive of each other. While podcasting, which has stopped since the Hurricane and I hope to start again later in the year, I learned so much about authors and bloggers that I spoke with and heard them share ideas freely for others to benefit from. Even in our author and blogger interviews on the BookGoodies site, everyone shares a bit of advice. We don’t charge for our book posts and our interviews, but the “cost” is that who ever is writing the post has to share something of value to the readers. Same with the podcasts. We don’t charge our guests for promoting their books or services, but every podcast has tidbits of information for authors or readers. Is there anything that you would like to see change in the coming years? I see more indie authors and would like to see more collaboration between authors and reviewers. Right now it is like they are in two separate camps, each afraid to reach out to the other for fear of being taken advantage of. Authors need reviews, reviewers want good books to read, and there needs to be better ways for them to find each other. We are working on hopefully helping with that with our new Review Matchmaker service. The other thing I would like to see change is authors taking more control over their marketing and not relying on Amazon to do their marketing for them. Book Bloggers can be a big part of this change by being open to having authors on their blogs that are selling independently of Amazon, and by not only reviewing books on their own sites, but posting reviews on the author’s sites as well so that the authors can build a name for themselves outside of Amazon. One of my mantras from being an internet marketer for a very long time is to not build your business on the back of another company. Be in control of your blogs, be in control of your books, be in control of your marketing. You can outsource your marketing of course, but don’t rely on Google or Amazon or any other single company to provide your future income. They care about their own bottom line, not yours. Looking forward to meeting many people this week through Armchair BEA! If you are so inclined, tell us about your blog and we’ll add you to our site! Kriss is a great blogger, she is my Triberr group. Glad she helped you find this great event! I am having FUN checking out all your resources! THANK YOU for taking so much time and putting so much effort into everything you do! Deborah, first let me applaud you *claps claps* and say that you are amazing! You have so many ideas and you’re like an entrepreneur of the book blogging community! You’ve created so many new things and you’re helping so many people! I can’t believe I’ve only found you now! I salute you! I’m so happy I stopped by your blog! I’ve seen you around…on Google+ I think. You’ve got some thought-provoking ideas in this post. I’m especially interested in knowing more about the Review Matchmaker service and if there’s any way that I can help make that a reality. Although I haven’t been online as long as you, I did start around 1994 and quickly learned all about BBS’ and started playing those cheesy online text-based games. Ah, good times. I lived in Arizona and it is a beautiful location. I can’t believe how far we’ve come with the internet. We have so many more possibilities now when it comes to writing our books among other things that it’s mind boggling. One of my favorite things about blogging is building a community. Thanks for stopping by! Blogging is a great way to meet and get to know people. Be sure to add your blog to our blogging category! Being a Floridian, it still blows my mind that New York got hit so hard by Sandy. I’m sorry about your home there! ((hug)) Glad you’re enjoying Arizona though! I love the southwest. No one expected Sandy and it’s force. Which made it even worse I suppose. But NYers are strong and we move on. There has to be collaboration between authors and bloggers, we can’t all rely on Amazon to drive sales to our books. Authors, bloggers and reviewers *need* each other! Collaboration is the key to success. No one blog can “do it all” and do it right. It’s my first year as well, but welcome to ABEA! It’s been really awesome so far so I’m definitely look forward to the rest of the week. I’ve always wanted to visit Arizona, it has an odd sort of beauty about it. Talking about text on a black screen makes me miss MS/DOS…I know it’s not the same thing but there was a sort of simplicity to all that prompt typing, lol. I’m really glad you and your kitties found a place after Sandy and that you get to be near your daughter. I wish all the best for you! I love the Southwest. I lived in Las Vegas for 2 years and loved it but moved east because my fiance owns the house there. I love Arizona, there are a variety of climates here and as a photographer I am within a couple hours of tons of great places to photograph! After a life of ups and downs, I feel peaceful here, as I said above. I remember using Lynx and Pine email back when I was in college in the mid 90’s. The Internet has certainly come a long way since then, thankfully! My thoughts go out to you for what you’ve gone through in the aftermath of Sandy. I lived in Brooklyn for 30 years, and seeing the images of the storm’s devastation was heartbreaking. I wish you all the best . Pine! I couldn’t remember the name lol. Nice to “meet” you and thanks for stopping by. Yes, the places that were hit are sad to see. We live on an island in Jamaica Bay and the whole island was under 6 – 7 feet of water. 1100 houses lost their first floor if they were a 2 story and the whole house if it was a single story. About 200 houses are occupied right now, most not even reconstructed yet. It’s nice to meet you, Deborah! I hope you enjoy Armchair BEA week. 🙂 Hurricane Sandy was devastating, and I’m happy you and your 3 cats found a new place to live that you love so much. I got my library degree in 1988 when I was 43 at the University of Michigan. We lined up our cars to pick up our computers that we were required to purchase. It’s hard to find older people who are as interested in the Internet so it’s GREAT to find you here. And please accept a virtual hug for being a Sandy survivor. Although I live in Michigan now, I grew up in Philly and have family in Jersey and a few friends who were also effected. The world tends to forget about all the ways life has to be put back together after something like that. At least you are getting time with your daughter and near Sedona! Color me jealous. I am delighted to make your acquaintance! Thanks Ann! Yeah oldies like me are rare lol. And I appreciate the hug, some days I need a few of those. Welcome to ArmchairBEA! I love this event. I’m glad I got to know a little more about you and Book Goodies.